The Hip and Lower Extremities Course covers the Hip, Knee, Ankle and Foot. Short lectures focus on the functional anatomy pearls for each joint. The primary focus of the course is on the lab demonstration of how to examine each joint to rule in or out a traditional orthopedic injury and then how to examine for and treat somatic dysfunctions of each joint. 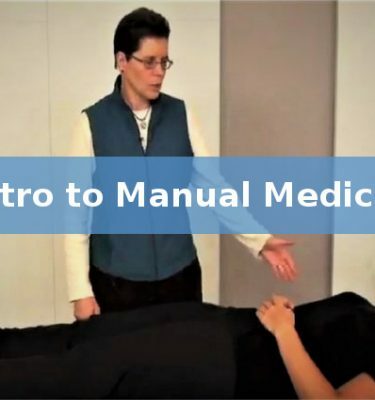 The core manual medicine treatment modalities covered in this course are muscle energy, HVLA, strain-counterstrain and soft tissue techniques. Understand functional anatomy of each joint of the lower extremity. Review how to examine each joint properly for an orthopedic injury and for somatic dysfunction. Understand how to apply high velocity low amplitude, muscle energy, strain-counterstrain, and soft tissue techniques to the tissues of the hip and lower extremity. Hip and Lower Extremities is 6 Hours. This includes watching the video course, practicing the techniques, and taking the post-tests.